228 pages | 51 B/W Illus. Fast urbanizing countries like China have experienced rapid – albeit geographically uneven – local and regional economic growth during the past few decades. Notwithstanding this development pattern, China has been investing heavily in targeted coastal and inland regions through planning policies for infrastructure, location and cities. This is a largely place-based investment process that is of great importance for the public, business and policymakers. China’s urban and regional transformations provide incentives for spatial agglomeration and will shift the growth of activities within and across cities for decades to come. 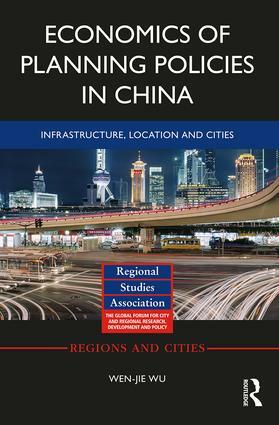 This spatial differentiation is likely to be driven by government decisions at all levels about where, when and in what to invest, in an institutional context where policy instruments act to constrain or facilitate China’s urban and regional development. Wen-jie Wu is an Associate Professor at Heriot-Watt University, UK.